In 2018, 2017, 2016 and 2015, Dr. Yoo was named Best Facial Plastic Surgeon and Best Cosmetic Surgeon in San Diego by Ranch & Coast Magazine. 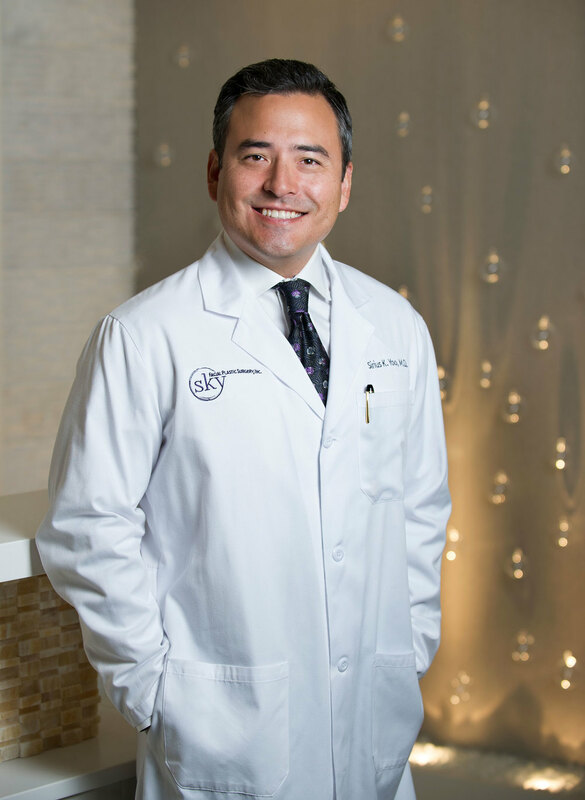 Dr. Yoo has also been featured in San Diego Magazine’s Top Doctor Issue, recognized by San Diego Business Journal as a Healthcare Champion finalist, and is known as a leader in his community. Dr. Yoo is a regular supporter of Rady Children’s Hospital and Helen Woodward Animal Center, and donor to a number of local charities, including the FACE Foundation, San Diego Professionals Against Cancer, American Cancer Society, San Diego Brain Injury Foundation, Cystic Fibrosis Foundation, Access Youth Academy, Pedal the Cause and AVON - Breast Cancer. Dr. Yoo is Board Certified in facial plastic surgery. Dr. Yoo is Board Certified in head and neck surgery. Dr. Yoo is a member of the American Academy of Facial Plastic Surgery. Dr. Yoo's surgery center is fully accredited by the IMQ. 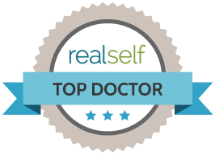 Dr. Yoo was named Best Facial Plastic Surgeon and Best Cosmetic Surgeon in San Diego by Ranch & Coast Magazine 2015, 2016, 2017, and 2018. 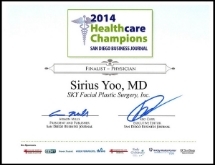 Dr. Yoo was selected by the San Diego Business Journal as a Healthcare Champion finalist for 2014. Dr. Yoo was selected by the San Diego Business Journal as a Healthcare Champion finalist for 2015. Harborview Medical Center – One of the nation’s busiest trauma centers and the only Level I trauma center serving all of Washington, Alaska, Wyoming, Idaho and Montana. UW Medical Center – A world leader in medical discoveries, known for its state-of-the-art clinical care and break-through discoveries in medical science; One of the nation’s largest recipients of National Institutes of Health research funding. Seattle Children’s Hospital – A premier child health care and pediatric center; Recognized as one of the leading US hospitals for children. United States Department of Veterans Affairs – The Veterans Affairs Puget Sound Health Care System is a distinguished leader in teaching, research and patient care.